The Cornmarket Cumann na mBunscol na mBunscol Awards were held in the Sligo Park Hotel on Friday March 8th. Over 200 guests attended the Awards Banquet in Sligo. Cumann na mBunscol Shligigh worked tirelessly for weeks in advance of the night to ensure that every detail was covered. Bernie Ryan, Principal of Holy Family NS in Tubbercurry, saw her five year term as Cathaoirleach of An Coiste Náisiúnta come to an end during that weekend and the local Committee, led by Mary Curley, ensured that she went out on a high note. The Pat Trainor Award for Lifetime Service to Primary Schools Gaelic Games was won by Jim O Riordan from Wicklow. Jim, a native of Cork, taught in Newtownmountkennedy NS for many years. The Large School of the Year Award went to St Teresa’s NS from Longford. The Small School Award of the Year was won by Roan St Patrick’s Primary School from Tyrone. The Award for Best Public Relations went to Sciath na Scol of Cork while Cumann na mBunscol Átha Cliath were runners-up. 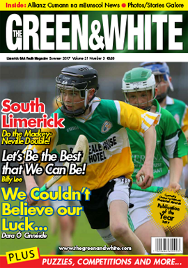 Cumann na mBunscol promotes Gaelic Games in primary schools throughout the island of Ireland and beyond. However, members of Cumann na mBunscol also promote GAA Rounders, Handball and Athletics as well as activities such as table quizzes. St Mary’s Parish Primary School from County Louth were popular winners of the Promotion of Gaelic Games and Culture category. INTO 150 was celebrated by members throughout the country during 2018. 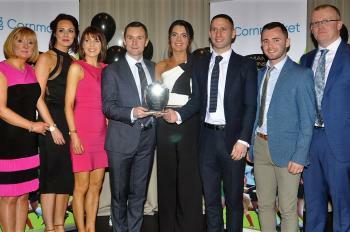 A special Award was sponsored by INTO to highlight the contribution of INTO members to the promotion of Gaelic Games. The winning project was compiled by the children of Fifth and Sixth Class from Ballybrown NS, Clarina in County Limerick under the guidance of their teacher Katie Gibbons. Former INTO President Jim Higgins represented the union at the Awards as did Fidelma Sheridan, known to union activists as a member of Standing Orders Committee. Fidelma has a long standing association with Cumann na mBunscol and is currently an officer of Cumann na mBunscol in Cavan. Sponsors of the Awards are Cornmarket Group Financial Services and they were represented at the Awards by Adrian Travers while Allianz, sponsors of Cumann na mBunscol, were represented by Alan Black.